ON THE FRONT LINES, NEW YORK COLONY, OSWEGO TERRITORY – A regiment of the King’s army was set upon shortly after 10 O’clock this morning (August 25) by a group of rebellious colonists while walking in East Park. 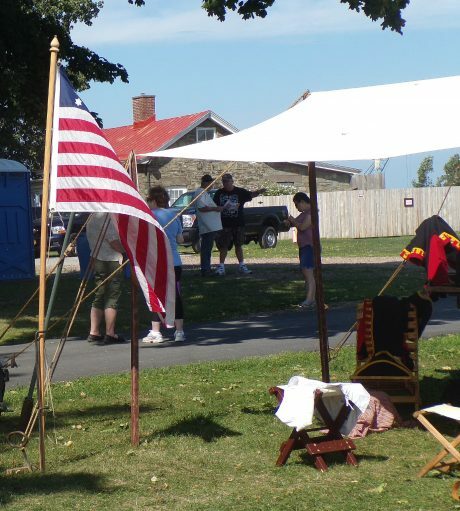 The Continental Army attacked the British in Washington (East) Park on Bridge Street in Oswego. The attack forced the Loyalists to retreat and fighting continued up East Fourth Street to the gates of the British-held fort. Rebel troops launched a full-scale assault on the fort Saturday afternoon. The faux battles are part of a weekend event at the old fort that features living history demonstrations and three battle re-enactments. 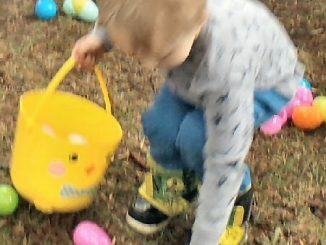 Another assault on the fort is slated for 1 p.m. on Sunday. 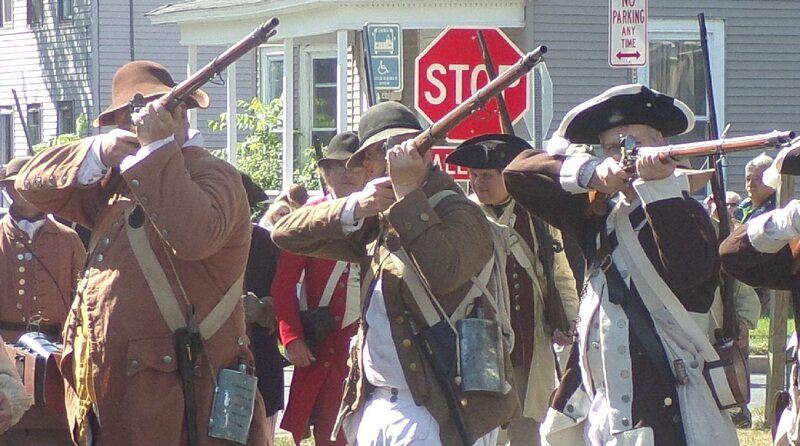 Two members of the 64th Regiment who were defending the British fort from the upstart Americans on Saturday were Sgt. Hiram Lyon of Henreitta and Major Michael Grenier of Webster. 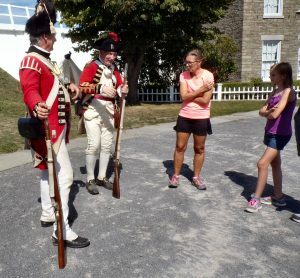 Major Michael Grenier of Webster shares a history lesson with some visitors to the fort Saturday. At left is Sgt. Hiram Lyon of Henreitta. Grenier has been a re-enactor since 1975 and Lyon started in 1990. 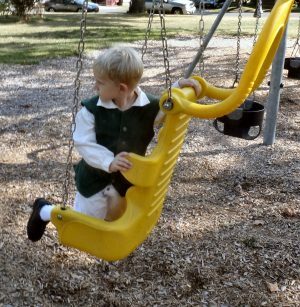 “This is something we enjoy doing and it’s also educational,” Lyon said. There were about 300 participants, British and American forces, he said. 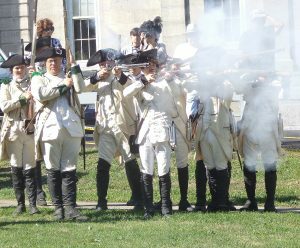 During the weekend, British, Continental, and Native forces will re-create the sights, sounds, and scenes of the American War for Independence from 1775 to 1783. 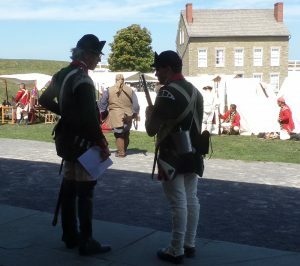 Two soldiers chat in the shade at Fort Ontario. At that time, Fort Ontario served as a waystation for Loyalists fleeing rebel persecution. It was also a base for British-Loyalist-Native raids into New York and Pennsylvania. Liaisons Plaisantes, a group of re-enactor musicians from the Mohawk Valley, will perform music of the 18th century in one of the fort’s cave-like underground casemates at noon on Sunday. 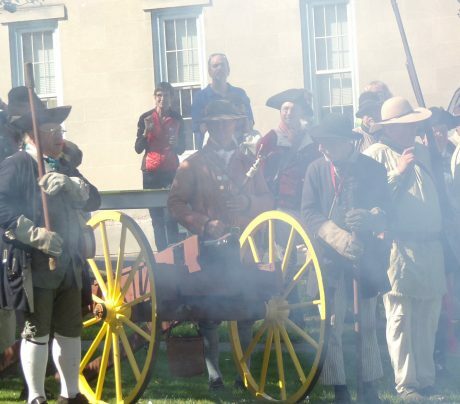 The Oneida Great Peace Living Historians Group will present a program about their beliefs and traditions in the Continental Army camp at 11 a.m. on Sunday. From 10 a.m. to 4 p.m. on Sunday, historian Shari Crawford will introduce kids to 18th century toys and games and a world of child’s play. 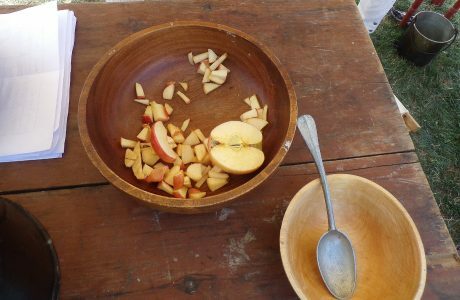 Living history expert Paul Supley will interpret the role of an 18th century physician and surgeon. He will bring a display of reproduction and original 18th century medical tools, equipment, medicines and treatments. 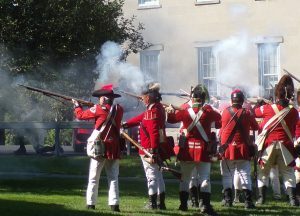 Find Fort Ontario on Facebook for more updates. 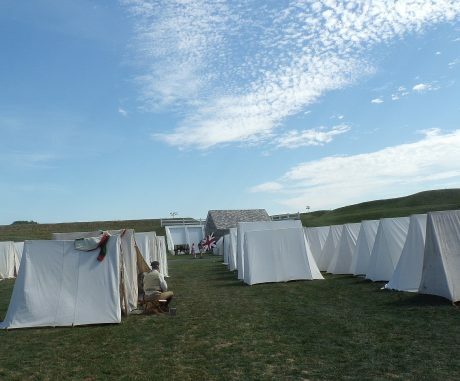 The soldiers pitched their tents at Fort Ontario for the weekend. 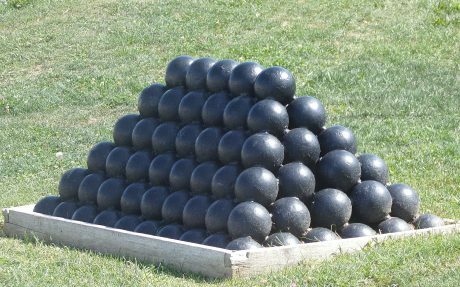 Cannon balls, stacked and ready for use. After the smoke clears, the Americans prepare the cannon to fire another round. An American Flag flies near a tent outside Fort Ontario. And a record crowd of both re-enactors AND civilians! WHAT A FABULOUS EVENT!